Peru is a country with a great diversity of landscapes, traditions, attractions and climates. You will find here many things you will not find in other parts of the world. To experience everything a bit, you should come here for at least 19 days and get to know both Andy, the jungle and the coast. To maximize and use this time, we have prepared a unique program for you that combines the most beautiful atracions in each of these parts. From the coast, through the Andes, to the jungle. Maximum diversity of Peru is waiting! Discover the best places in three completely different regions of the former Inca country! Experience and learn as much as you can. Lima, Paracas, Ica, Nazca, Huacachina, Arequipa, Peninsula Capachica, Lake Titiaca (wyspy Uros, wyspa Amantani, wyspa Ticonata), Puya Raimondii forest, Rainbow Mountains, Inca bridge Queswachaca, Cusco, Pisac, Ollantaytambo, Maras, Moray, Salineras de Maras (salt mine), Patacancha Valley, Chinchero, Santa Teresa, Santa Maria, Aguas Calientes, Machu Picchu, Puerto Maldonado, Lake Sandoval. Depending on the time of arrival and departure from Peru to Lima we will spend during the whole trip, about one day in the capital. During the first day we will visit the San Francisco church with the underground cemetery and the Larco Museum and several other attractions at Plaza Major (the main square in the capital). We recommend choosing flights that will get you to Lima early in the morning. With this option you will be able to get to know the capital in much greater scope. Paracas is a small town that is famous for its trips to the Ballestas Islands (Islas Ballestas). On this day we will take the boat trip to admire among others pelicans, penguins, dolphins, sea lions, and cormorants. In the afternoon we will go for a walk along several beaches in the Paracas National Reserve, admiring the desert area merging with the Pacific Ocean. Today will be very long, because it will starts around 2.15 am, but the views and attractions will reward all! Today is a journey of adventure with the flight of the Nazca lines. Two pearls on the route between Paracas – Arequipa. In the morning you will have a huge dose of adrenaline on a buggy tour in the Huacachin oasis, and in the afternoon you will have an adventure with geoglyphs on the Nazca Plateau. In the evening, full of impressions, we will head to the Peruvian Andes on a night bus. The adventure with the higher altitude will begin in Arequipa, which is situated at 2400 m above sea level. Arequipa is a very interesting city, where in addition to the classic attractions such as the cathedral, St. Catherine’s Monastery or the Juanita Museum, you can additionally visit the unique and yet still tourist trail with petroglyphs, canyons and stone quarries in which the sillar stone is made it is part of Arequipa). We offer you the last three, from the aforementioned attractions, because in our opinion they will show you the beauty and uniqueness of this region with a few, quite different perspectives. For dessert we offer a viewpoint on the surrounding volcanoes Arequipa! We will be here before sunrise. After 18:00 pm you will have time to visit the center after dark, a good, local dinner and rest. Lake Titicaca has a lot of interesting attractions. Most tourists go to the city of Puno to explore the Uros Islands situated nearbay. For a change, we focus on the uniqueness and the greatest contact with the real, local life on the lake. Therefore, we suggest you discover it from a completely different side, ie from the side of Capachica peninsula. During our trip, you will not only know the peninsula, but also most unique island, where you will visit Museum of the mummies form the Tiahuanaco culture. We will also visit some Uros Island, but not so crowded one, to familiarize themselves with their construction and to talk to their current inhabitants. We will visit those that are furthest from Puno, and therefore are much less touristy! In addition, we will visit the island of Amantani, where you spend the night with a local family. Here you will be waiting for 2 hours trekking to the top of the island and admiring the sunset in one of the most beautiful places in the region! Today’s day will have to start very early in the morning, about 4 am, but the number of attractions, worth the sacrifice! Early in the morning we will take a boat from Amantani Island to the Uros islands to get acquainted with their construction and to meet with their current inhabitants. For sightseeing, we choose the less touristy island of Uros, the farthest from Puno. Then we will go for a unique, light trekking, among gigantic plants called Puya Raimondii. It will be a day full of folklore and unique landscapes. Today’s day will start early in the morning, around 6:00 am, but the number of attractions will be worth the sacrifice! To be able to see as much as possible and to reach unique attractions away from the tourist route, today we will use a private car all day and a private boat on Lake Titicaca. Two unique attractions in one day. That just can not be missed! 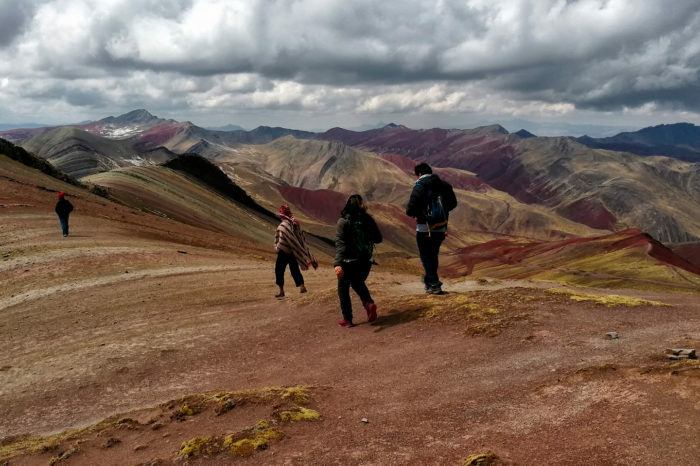 First we will go to the colorful part of the Andes to admire the famous rainbow mountains. Today we will reach 5000 m above sea level. This will be the highest point of our entire expedition. Then we will go to the original, Incas bridge, rebuilt every year by local communities. To be able to see as much as possible and to reach these unique attractions we will have the private car during all day. Cusco is a beautiful city where you can fall in love quickly! We will have all day to discover the historical capital of Peru and explore in peace and detail the most beautiful parts. As part of a day-long tour of Cusco we offer not only a visit to the ruins of Saqsaywaman, the Koricancha Museum or the city center. We go much further! There are also other lesser-known places / ruins around the city, worth visiting. As the inhabitants of Cusco we know its most beautiful parts, and we will be very happy to show them the best of the best. Today we will combine main attracions of the Sacred Valley with a very local experiences. We work with many local communities in the Andes, who are happy to host participants of our expeditions in their homes. It gives possibility to integrate with the local population of the Andes. We offer an expedition to the Patacancha Valley, where you will have the opportunity to meet the warm and open families. We will have dinner with them, breakfast, we will look at how their everyday life functions. If we can also visit the local school or play the football game with the locals. This expedition will be accompanied by a visit to the charming town of Pisac and its ruins, with the Inca cemetery in the main role. On the same day there will be a unique opportunity to admire the condors as well as vicuñas, which are not normally in close contact with civilization. However, thanks to the visit to the sanctuary of animals, which rescue valuable Peruvian animals from the smuggle, we will learn some of the most characteristic species. By the way, we will help for this organization, that not only save animals, but also run programs for the reproduction of condors. 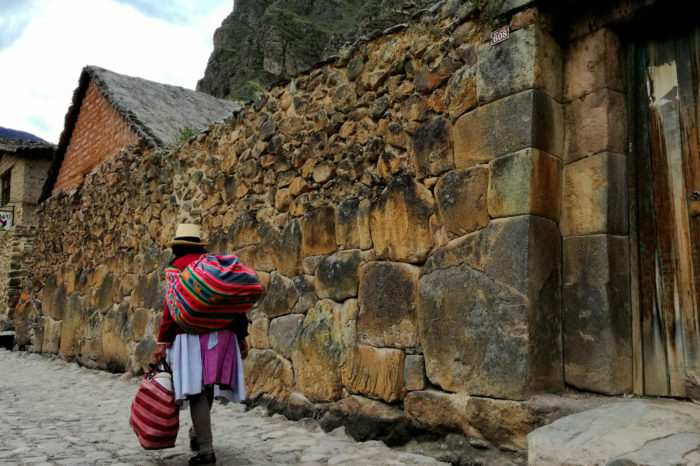 We will spend the morning with the local community of the Patacancha Valley, then we will go for about 3 hours long trekking to the beautifully preserved, Ollantaytambo town. You will also have the opportunity to visit pre-Incas ruins, mountainous landscapes in the background, as well as the ruins in the town itself. This day is dedicated to exploring the lost Inca city of Machu Picchu – Peru´s most famous site! Inside the ruins there are many options available to you. You can hike one of the two small peaks, Huayna Picchu or Machu Picchu Mountain, you can even walk to the Sun Gate (Inti Punku) and/or Inca bridge. This day is an awesome and unforgettable immersion into the local culture of the Sacred Valley! Today you will explore Inca archeological sites, a traditional Inca salt mine, and mystical agricultural terraces. You will also participate in a textile lesson, meeting members of the local community. You will be amazed at just how many things there are to do and explore in one day! Take advantage of the day to really experience and enrich your knowledge of local Andean traditions, crafts and customs. Today, before lunch we will go by plane to the Peruvian jungle in Puerto Maldonado. Exploration of the jungle according to the rhythm of animals living here, is an extraordinary relaxation, rest and regeneration. After a few days of travel through southern Peru, the last few days we will focus on maximum contact with the nature, away from the bustle of cities. In this part of the jungle we will stay near Lake Sandoval, where we will look for various species of birds and mammals! We will be traveling mainly with boats, including those without motor, which will ensure maximum relaxation. We will also look for the caimans in the evening, which are very common in that part of the Peruvian jungle. In this part of the jungle we will spend some time close to the Lake Sandoval, where we will see various species of birds and mammals. There will be some light trekking trips through jungle, meetings with our local family at breakfast and dinner, so as always, there will be very local accent! We will be traveling mainly with boats, including those without motor, which will ensure maximum relaxation. In the afternoon we will return to the capital of Peru – Lima, where we will go to the beautiful park with fountains – Parque de Aguas. In the evening there are interesting performances with colorful fountains in the main role. Fall in love with Lima … We have a way of it! There are many unique spots in capital of Peru, you just necessary to know how to show them. That’s why we selected for you only the most original attractions. Today we will visit the most beautiful sites in the area of Plaza de Armas, as well as San Francisco church, the House of Peruvian Literature, and the Larco Museum. For a cup of coffee or tea we offer you a very tasty bar, with very long traditions. Thanks to these attractions you will know both the colonial period of Peru and many ancient cultures inhabiting the country, many centuries before the Incas. Today, we will also visit a folk-style restaurant, in which, apart from food, there will be a dance show. Depending on the time of departure from Lima, today (if the time will permit) we will continue to explore the most interesting parts of Lima. Entrance ticket called "Boleto turistico"
Heart of the Inca Empire with Machu Picchu in 4 days. Discover the most diverse attractions in Cusco region and its beautiful landscapes. Rest, relax and learn about Inca history. Two different regions of Peru, the coast and the Andes possible to discover during our carefully planned 14 days long tour. Discover the best of the best attractions in the former Inca Empire.